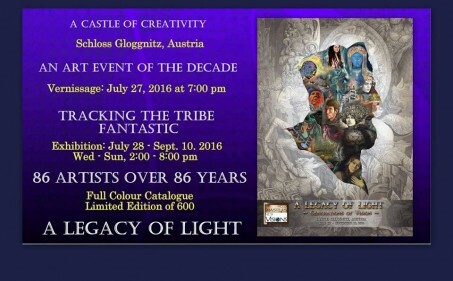 Honoured to be a part of this historic event at Castle Gloggnitz, Austria. A collection of work from many of the Artists, assistants, apprentices whose lives and Art were touched by the Maestro Ernst Fuchs, one of the founders of the Fantastic Realism movement. I worked for him assisting painting in 2012, living with his long time manager of the Fuchs museum ( & also one of his favourite muses herself ) Countess Cornelia Mensdorff Pouilly. Also trained a little with his son, Michael Fuchs. 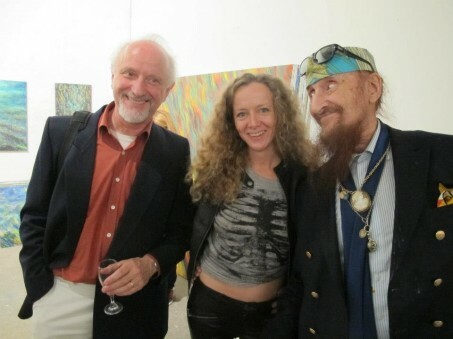 I found Ernst to be a wonderfully eccentric, humourous, & still creatively inspiring man, & I feel very blessed to have known him before his passing.